/in-viz-uh-buh l/ adjective. not perceptible or discernible by the mind. February 14, 2015, Valentine's Day, students from over 110 different schools gathered under one roof for the 3rd installment of TEDxYouth@Austin. Committed to ideas worth spreading, a dedicated youth-led, adult-mentored team of 50+ individuals worked non-stop to organize this one-day event featuring 11 captivating speakers and an array of innovational exhibits in the interactive XLabs portion. 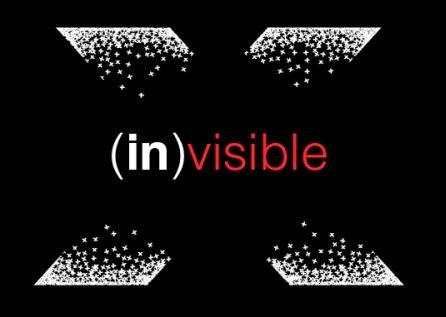 The year's theme was (In)visible, discovering the meaning of making the invisible visible. There was nothing invisible about the leadership and guidance youth project manager, Madeline Goulet and adult mentors, Nancy Giordano and Carol Reese provided. The three endeavored to create an even which challenged the preconception we held, encouraged uninhibited curiosity. We had a bright line up of speakers: Professor Dumpster, Cindy Chung, Louis Lafair, Doug Lenat, Evelyn Apoko, Ocean Pleasent, Outspoken Bean, Leezia Dhalia, Caroline Boudreaux, Dan Goodwin. Accompanying these speakers, we had outstanding performers, dance group, Punjabbowakeez. And to complement, we had outstanding assortment of XLabs from Chap Research, T-STEM Academy, Thinkery and Austin Tinkering School, Cycorp and The Entrepreneurs Foundation. What Does (in)visible Mean to You?